Hackers just trying to prove a point. LulzSec takes responsibility for Sony and FBI hacks. 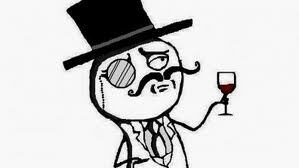 If you are not familiar with the group LulzSec you might want to continue to read this post. They are a group who takes, well…joy …out of hacking websites and compromising your personal information. You can actually go here to check if you were one of the 62,000 emails and passwords they released. Now why would anyone do such a thing as hacking websites you ask? Well there are few reasons groups like Lulz and Anonymous engage in hacking for fun. Groups like these want to remind the public nothing on the internet is ever private or safe. It seems Lulz and Anonymous, who have teamed up in the past to create a stir, do not use the information they steal but rather publish it for their amusement. If a group of teenagers can hack into the sites of major corporations (ie: Sony, FBI, CIA, FOX News) then it brings into question how much companies and individuals are doing to protect their information. While these sorts of pranks seem pointless on the surface, Anonymous will occasionally use their hacking forces for good. In 2007 they actually helped assist in the arrest of a man attempting to physically and sexually harm a 14-year-old child. So annoying as these groups hacking antics may seem, I would like to believe some of what Lulz and Anonymous do can help to improvement security and safety on the Web. And maybe get a few “lulz” in the process!